Ever since inciting scandal with his book The Da Vinci Code, the world has met new work by Dan Brown with great anticipation. 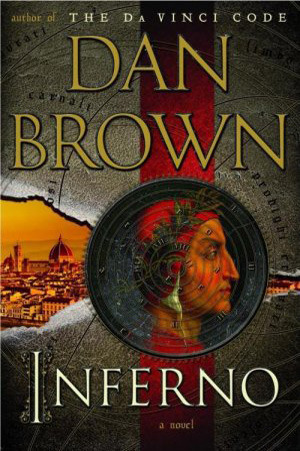 He released his fourth and latest foray into the world of Professor Robert Langdon May 14th of this year. 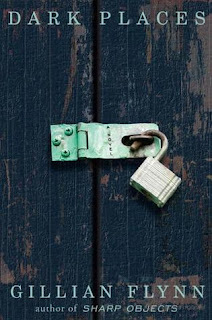 The book received much media hype in the months leading to its debut and even faced some controversy over the extreme methods used to keep its contents secret before public release. Since the reveal of its title on the Today Show a few months ago, I have been sitting dutifully on the library waiting list. By the time I got on the list, I had ended up in the 60s somewhere. I did not expect to indulge in Langdon's latest adventure until late summer, maybe even fall. 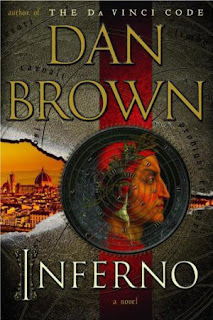 However, in a stroke of luck, while hunting for a book for Kevin to read on his iPad, I saw Inferno available through our library's digital loan website. I snagged it immediately and tried to express my astonishment to Kevin. I must have logged on right when they added the digital edition to the website, because at the time of this writing, there are nearly 300 people on the waiting list for the same privilege. I have read all of Brown's novels about Langdon in the past. Despite debate over his facts and portrayals of historical figures and events, I very much enjoyed his use of these elements to weave a modern adventure story. He has created Langdon to be a modern Indiana Jones of sorts. One of my favorite books I read last year was Gone Girl by Gillian Flynn. When people ask me to recommend a book, I usually tell them about The Night Circus, the Divergent series, or Gone Girl. 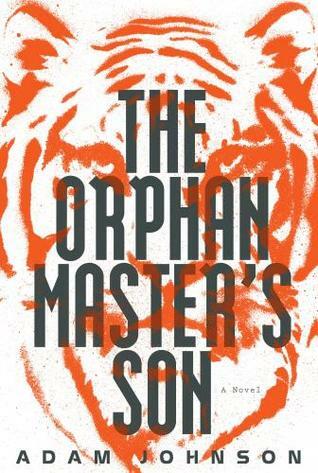 And in the last few weeks, I have been raving about The Orphan Master's Son. They all fall into such different categories, so I figure with that selection, at least one should thrill any reader. And speaking of thrilling, that Gillian Flynn sure knows how to do it. I typically avoid the thriller genre. I'm not a blood-and-guts kind of girl. My husband has been on a big kick lately for violent movies. Actually, I think we have just reached the point in our marriage where he's willing to assert his preferences a bit more, rather than deferring to my movie picks. Anna Karenina was the last straw for him. I do not mind some violence to progress the story line, but when it is in excess, it starts to bother me. Way back in 2011, I read a book called Across the Universe. Because I had not started the blog then, I have no formal review for it. Just a few quick sentences I jotted down when compiling the list of books I read that year. It surprised me. I had not really expected to enjoy it, but I did. It seemed at the time, and still does, a likely candidate to be put on film. From some mild Google searching, it appears that a movie has not yet been announced. Still, with the success of The Hunger Games and an upcoming Divergent movie, I think Hollywood is about to jump on the dystopian bandwagon young adult authors have been riding for years now. Across the Universe would fit the bill. 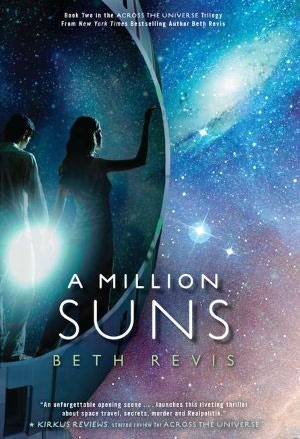 Teenage girl, Amy, wakes from cryo-sleep long before she should on Godspeed, a ship sent from Sol-Earth (the one which revolves around our sun) to reach and populate Centauri-Earth (a planet revolving around two suns many light years away from our solar system of origin). Suddenly alone in the strange culture which has developed aboard the ship, Amy befriends the young future-leader, Elder. Back in 2011, I read Nothing to Envy: Ordinary Lives in North Korea, Barbara Demick's book describing life in the Democratic People's Republic of Korea (DPRK). While I had not known much about the country before, the book fascinated me with its reconstructed tales of life inside the socialist nation. Since that time, North Korea has spent a good deal of time in the headlines, particularly lately. For those who have been raised in Western culture, the country is an enigma, so completely foreign in every way. If you follow news in the literary world, you probably remember that last year the committee awarded no Pulitzer Prize for fiction, citing the fact that there had been no work which lived up to the honor. It caused quite a stir and created a good deal of anticipation for this year's winner (or lack of one, if they chose to forgo an award again). When the winners of the 2013 Pulitzer Prizes were announced a few weeks ago, fiction lovers everywhere breathed a sigh of relief to see that a winner had been chosen. I had strong intentions of reading the award winner in the category of fiction regardless of its genre or topic, but to discover that Adam Johnson's winning novel took place in the DPRK guaranteed my interest. I have been reading so much lately, so I thought I would throw in an extra post for this week to keep you up to date. There are some really incredible books that I am working on right now that I cannot wait to share with you. Make sure you subscribe to the blog in some way so you are the first to know when I post about new books! Whenever Kevin and I take long car trips, we like to get an audio book to pass the time. Since I have an endless list of to-read books, I am always trying to kill two birds with one stone and find one he might like as well. 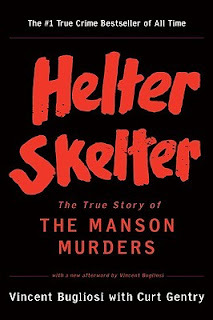 I took the risk with Helter Skelter because, a while back, a very dear friend of ours recommended this book to me, claiming it as one of his favorites. Now, I trust this friend and, therefore, his recommendations. He failed, however, to mention to me that Helter Skelter features more blood than a Quentin Tarantino movie. So there we are, driving along, heading to what is meant to be our first romantic weekend away as a married couple, listening to detailed descriptions of the Manson murders. It set the mood well, let me tell you. In fact, the first part of the book contained such gory, frightening descriptions that when we stopped to get lunch, I was completely convinced someone was going to murder me in the dingy bathroom. To top things off, that night, we watched No Country For Old Men before bed. I have no idea how, in a cabin in the middle of nowhere, I fell asleep. So far, this list of the 100 Best Novels is proving very depressing. Faulkner did not set out to write a cheery novel when he wrote this one, that's for sure. The Sound and the Fury, my second foray into my classic-reading adventure, chronicles the downfall of a southern family. 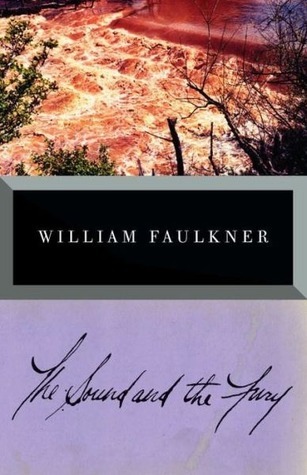 Faulkner sets his story in the first few decades of the twentieth century. The Compsons are a prime example of familial dysfunction. The father, Jason Compson III., drinks himself to death. The mother, Caroline, does not do much of anything, leaving the raising of her four children to the servants. Quentin, the oldest child, ultimately drowns himself while at Harvard after his only sister, Caddy, becomes pregnant out of wedlock and quickly marries to obscure this fact. Jason IV, the third child, becomes the patriarch after the death of his father and elder brother. He rules maliciously, seeking only that which will benefit himself. Benjamin, first named Maury after a philandering uncle and nicknamed Benjy, suffers from severe mental retardation of some sort and requires full-time supervision. Quite the cheery bunch, don't you think?